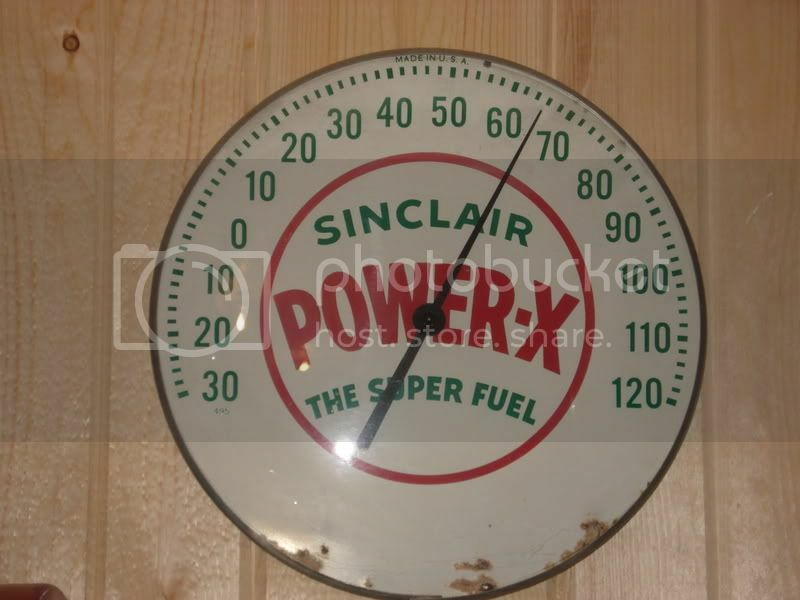 HERE IS MY FAVORITE AUTO RELATED CLOCK.PONTIAC NEON.I WILL POST A FEW MORE CLOCKS IN NON PETRO RELATED. 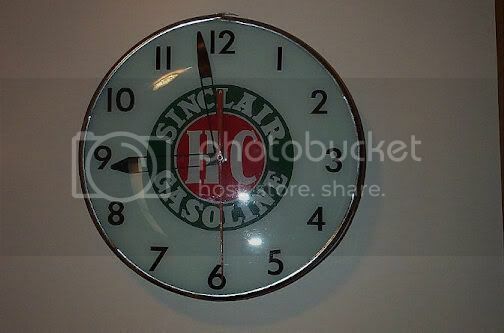 That Pontiac Clock is Awesome!!!! 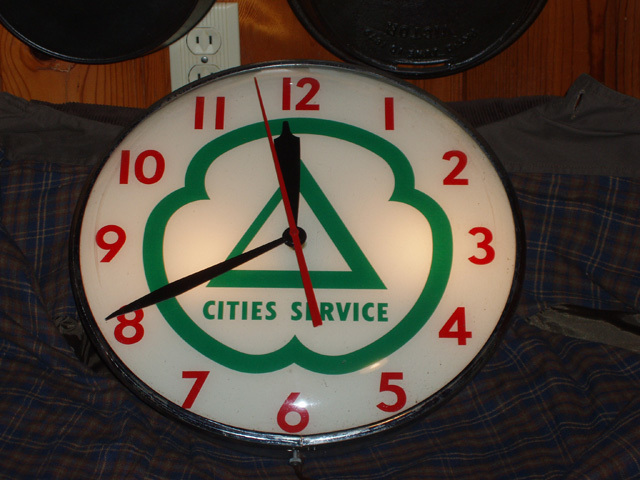 I found these two clocks in the basement of a old Napa store. Store had been a auto parts store since the late 1940's. 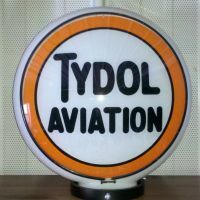 Looking for Tydol-Veedol-Flying A items, especially globes. 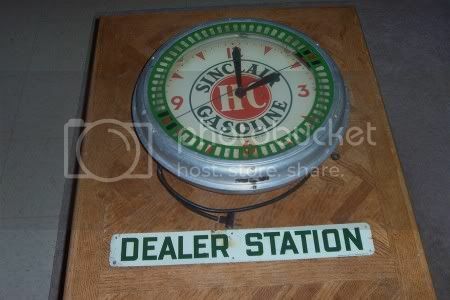 Drove 200 miles to pick up a pump today and remembered a clock I had made an offer on 2 years ago, and it was on the way back! I stopped in and they still didn't want to sell, so I raised the ante a little and he suddenly remembered he had ANOTHER ONE out in the warehouse! Well, it wasn't anywhere near the condition of the one on the wall, so I got it a lot cheaper with the promise that I could buy the other one when the time comes! Worth the stop because its cleaning up very nicely and everything works great!! Always stop back is my motto!!! Picked this up a few years back. Been running perfect ever since. 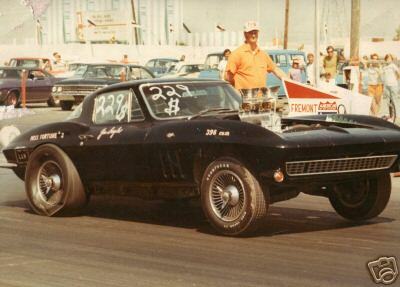 Only seen one other like it at St. Charles show last year. 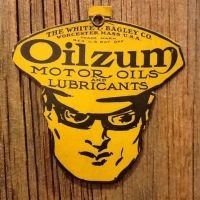 Anyone familiar with this company? Spots are glare. Only small chip at bottom of the six. Last edited by JOSBORN; Sat Sep 12 2009 03:09 AM. all very nice....keep em coming....still have two more weeks! Last edited by oldoil; Thu Sep 24 2009 08:29 AM. This is one of my favorites. 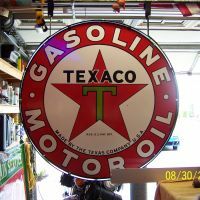 Sure, it's aluminum and plastic, but it is a rare combination of my two collecting interests of gas station and body shop memorabilia. 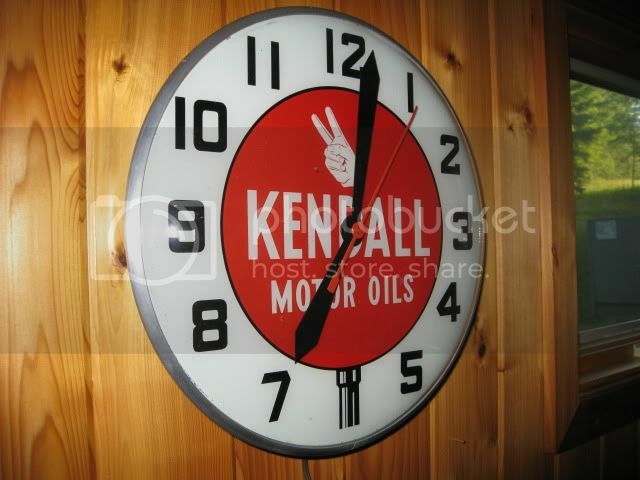 Still haven't found a Mobil auto paint can to go with this clock. All Leather face. Have it so long, forgot where/when I got it. 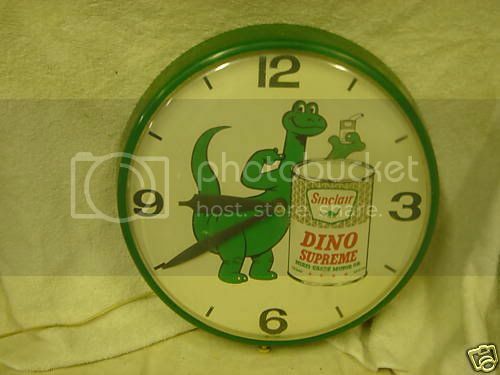 Here is a round Bardahl Man clock. It is not lighted and has the glass crimped in a one piece aluminum body. 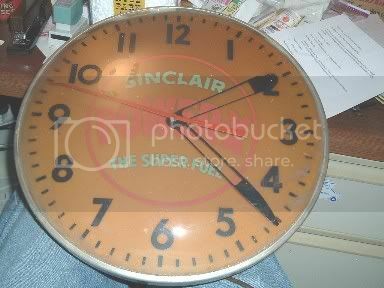 I have one of the square Pam Bardahl clocks shown earlier in this topic. Those came in lighted and flatter, not lighted versions. 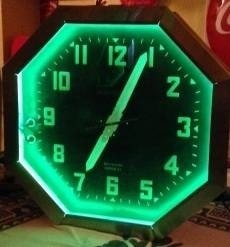 I got the Zephyr diamond Pam clock from Brad before he became "gasoildude" on Shop Talk. This one was an estate sale find by my dad, right down the street from his house. 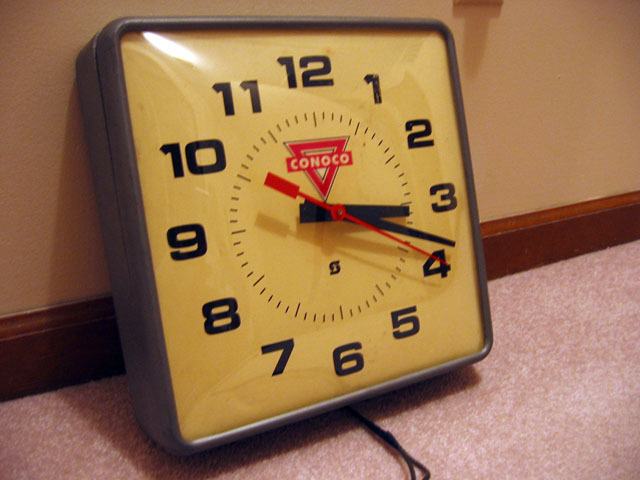 Here's a Conoco office clock. It had the self-setting mechanism (set to 12:00 by remote). I brought it to an old clock guy to get the hands aligned, and instead he stripped that feature out of it and added a set knob. The hands still don't line up. Grrr. 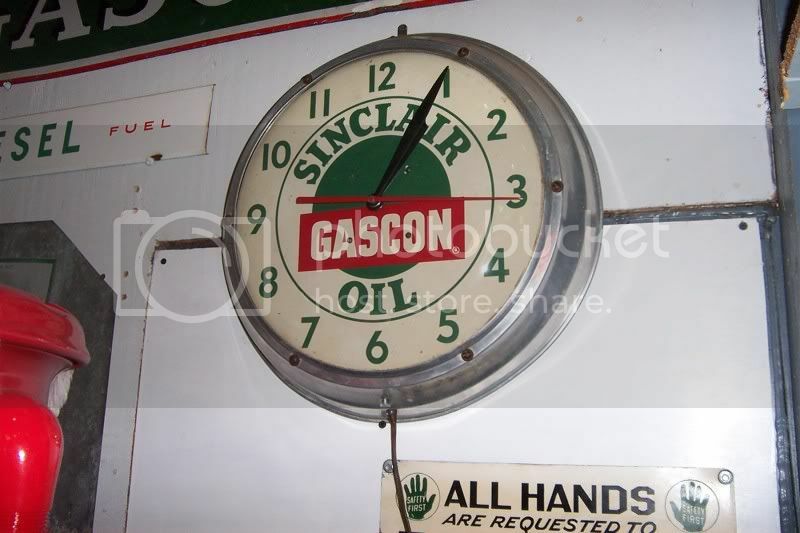 Here is my Mobil clock, 1956. Have 3 original pics from the dealership. My Mobil Paint clock, and a few others I have. Picked up this AUTOLITE clock.